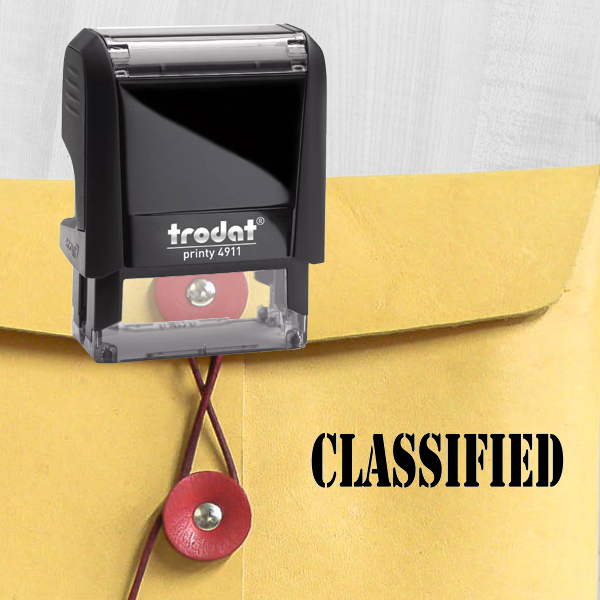 Do you have a job where you are required to keep some documents secret? 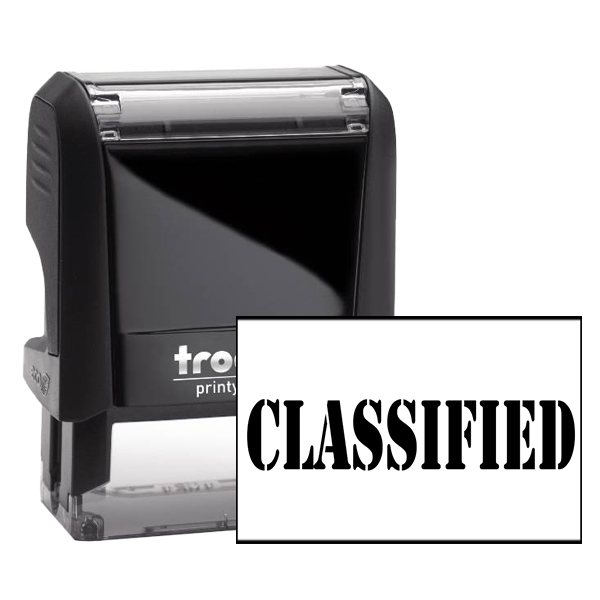 Introducing our new CLASSIFIED rubber stamp featuring a bold stencil font, satisfaction guaranteed! Impression size: Approximately .563" x 1.5". 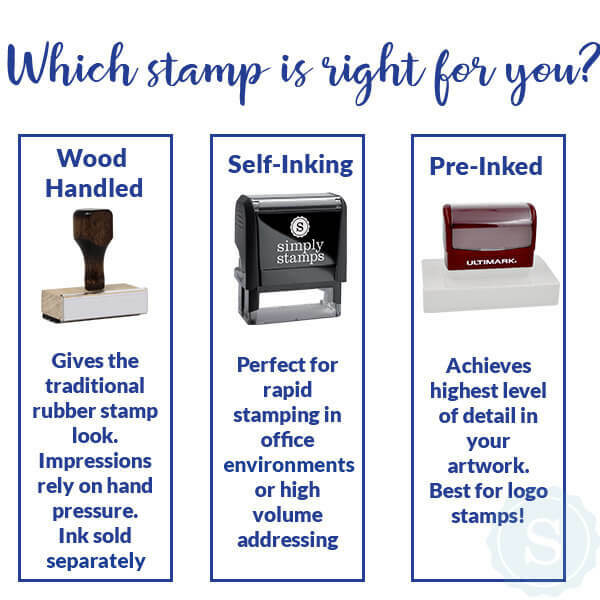 Please keep in mind, you are more than welcome to upgrade your stamp to a larger size starting at only $2.00 more! 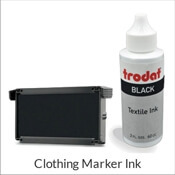 Tired of plain black? 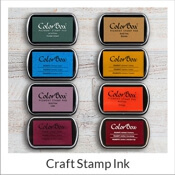 Alternative color options available at no extra cost! 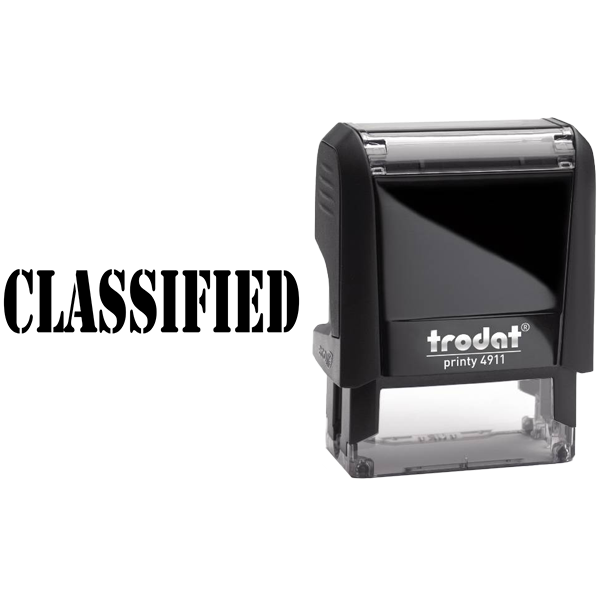 CLASSIFIED Bold Stencil Rubber Stamp Details As a part of our office stamp series, we are dedicated to bringing you affordable, classic, and easy to use office stamps specially designed to guarantee satisfaction! 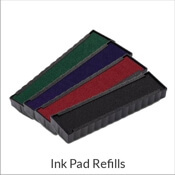 And if you want to add some color to your life and your office, why not opt for one in purple? 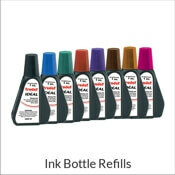 If not purple, we offer a great selection of other ink colors for you to choose from with no additional cost to you. 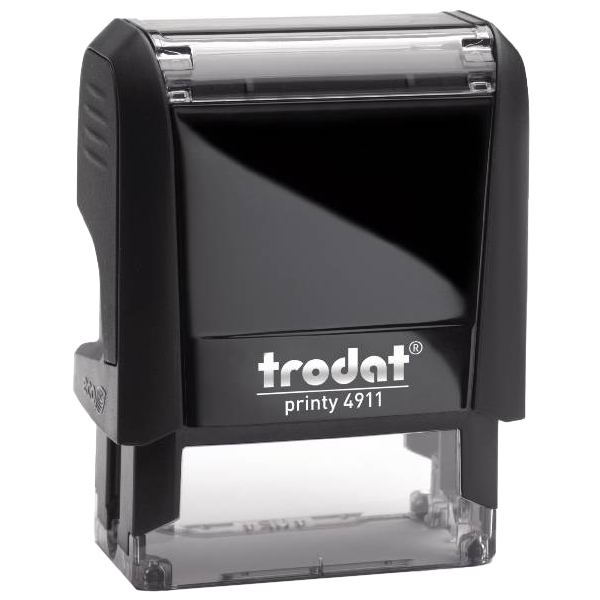 Also keep in mind, that you are always free to upgrade to a larger size stamp for as little as $2.